LEARN KUNG FU! CONTACT US! Northern Shaolin Long Fist refers to a family of external Kung Fu styles from Northern China which originated during the Song Dynasty (960–1279 AD). Long Fist utilizes fully extended kicks and hand strikes, which may be adapted for both long range or close proximity combat. The style also incorporates the use of joint-locking, throws and takedowns. It is considered to have a good balance of hand and foot techniques, which can be played both defensively and offensively. Chángquán is known for its circular and fluid techniques. Practitioners of the art have found that it contributes to their general flexibility as well as promoting good joint and muscle health. 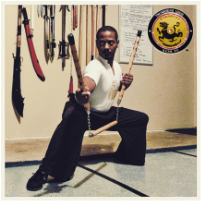 Our curriculum consists of both traditional and modern (Early to mid 1900's) open hand forms and weapons training, traditional body conditioning methods, Chinese joint locking methods, and sparring. This is a small selection from our beginner through intermediate degrees.